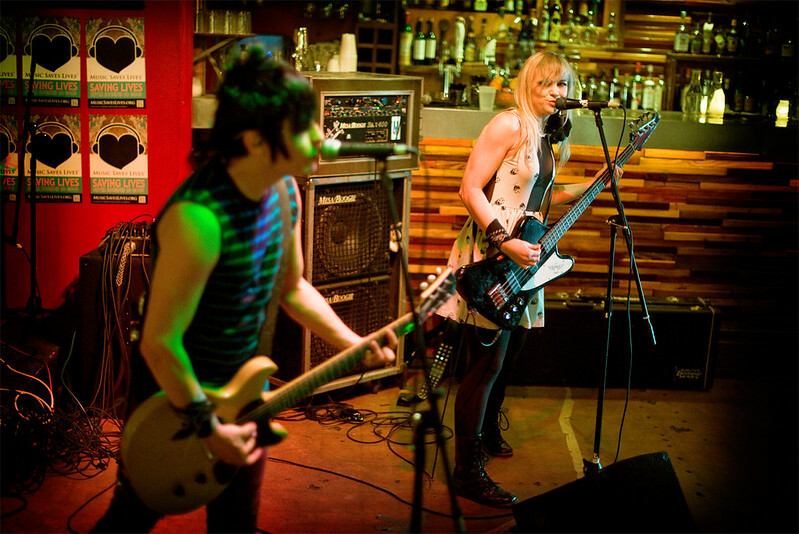 The Dollyrots performing at SXSW last March. As promised, The Dollyrots released their new video for "Twist Me To The Left," from their fan-funded new self-titled album released in September. "Twist Me To The Left" is the latest of catchy, pop/punk tunes from The Dollyrots. It paints a picture of touring life on the road; the good and the bad; not knowing what city you're waking up in but rewarding in the fact that the crowd energizes them every night. "See those faces look at me / Shining in the sea of black / Radiating energy / I’ll turn it up and throw it back / For you I’ll give my everything," sings lead-singer Kelly Ogden. Check out the new official video below and be sure to catch their fianl shows of 2013 before they go into hibernation to begin working on their new album. Tonight, they perform a special acoustic set at Molly Malones and then they play at The Troubadour with Go Betty Go on July 5th.